We specialize in Life Insurance Approval with Asbestosis! Having trouble finding affordable life insurance with Asbestosis? Can I Qualify for Life Insurance if I have Asbestosis? Yes, most individuals with Asbestosis will be able to qualify for traditional life insurance , the type of insurance which requires a medical exam. Best Case Scenario – A mild case of Asbestosis would be that of a previous exposure but did not manifest any symptom of lung problem. Another requirement would be no determined present or recent exposure to the chemical. If exposure to asbestos is detected early, removal from exposure is done and no symptoms are presented, then a “Mild Substandard” rating can be given. Click here for quote at “Mild Substandard”. Severe Case – Other cases of recent exposure to asbestos in terms of severity, duration and frequency will all be declined. This is because as long as there is continued exposure, there is a greater chance of developing malignant complications to the lungs. How many years have you been exposed to asbestos? Length of exposure to asbestos chemical may determine the possibility of developing lung complications like cancer and Asbestosis. If you are unaware if you’ve had an exposure please determine if you had worked in the following industries: manufacturing, direct handling or removal of asbestos or mining activities. Symptoms or flare signs such as chest pain, difficulty of breathing or shortness of breath may be indicative of developing Asbestosis. Current exposure to the chemical and flare signs may get you an automatic decline. Are you taking any medications at the moment? 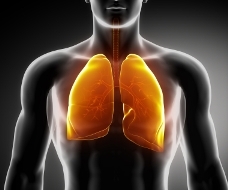 The need for medications for lung problems like chronic shortness of breath may be beginning signs of Asbestosis. This could mean a decline depending on the severity of complications. Recent laboratory and diagnostic tests like radiology exam, CT Scan or MRI are the best ways to assess your actual lung condition. Asbestosis is a chronic condition of lung fibrosis and inflammation due to chronic exposure to asbestos fibers. Inhalation of the asbestos fiber causes destruction of the interstitial parenchymal tissues of the lungs. Symptoms of Asbestosis include chronic difficulty of breathing, inspiratory rales on auscultation and shortness of breath. Long term exposure and retention to the chemical may cause lung cancer malignancy such as mesothelioma.